I have had a love/hate, and often hostile relationship with early versions of Cubasis. I make no apologies, there were serious early version issues, missing critical features, and deal breaking problems. This is no longer the case. Cubasis 2 is not the same as those early versions that crashed, or deleted entire projects with a single ‘Undo’ tap for a minor correction. No, not at all. Cubasis 2 is now, what I expected then. A quality, powerful, and smooth iDAW I can rely on. That’s how I would describe it today. I trust this newest version and love it. In this review on the new and vastly improved Cubasis 2 I’ll cover the most relevant parts as I experience them. For more detailed technical specifications and complete list of features, I encourage you to visit Steinbergs website. 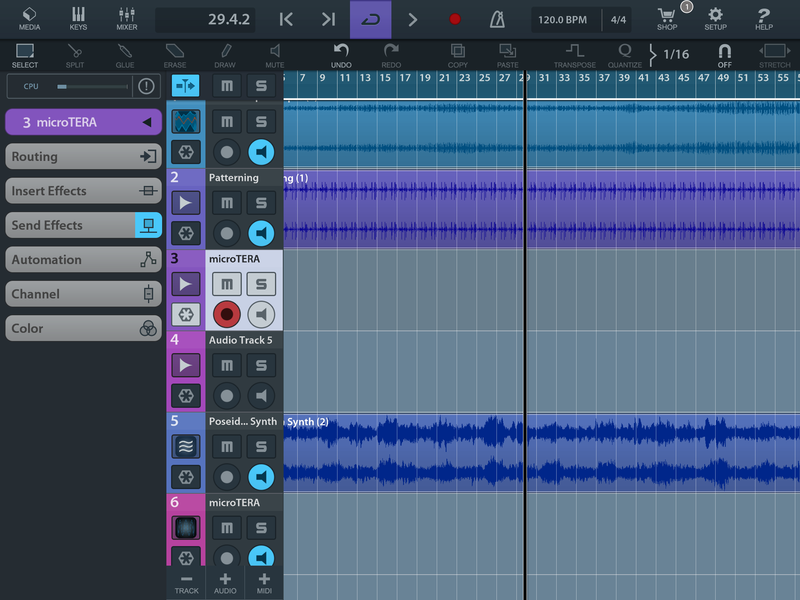 In case you didn’t already know, Cubasis is a mobile DAW (Digital Audio Workstation) with unlimited audio or midi tracks. It’s packed with many virtual instruments, samples, drum kits, and a decent suite full of basic audio effects. Of course that’s not all. Cubasis is truly packed with content, features, and options to help any creative flow get things done. One of the best things about this is it’s user interface. A very pleasant, smooth design that makes you want to use it. Digging through menus is not something to worry about. Steinberg really paid attention to making everything look easy. Don’t let that fool you, this is not a toy, and the appearance of simplicity is only a comforting mask that when lifted reveals great depth in a powerful workstation. When it comes to working fast and efficiently, this is the DAW I find myself gravitating towards almost exclusively. Deep midi support is presented in a way that even audio-centric folks like myself, who sometimes resist using midi find it to be more intuitive than others. Those who are midi savvy will appreciate this ease of use as well as its reliability for even complex uses. Routing in general is super clean. Routing Inter-App Audio, or Audiobus is just as fluid as can be expected. Mixing looks and feels like you might expect. 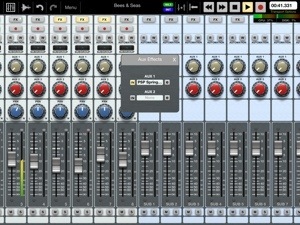 A simple tap on the Mixer button reveals the mixer board. If you don’t know already, it’s where you go to make various adjustments to the overall mix, such as levels, pan, effects routing, and set automation read/write. Cubasis 2 now has a very nice Channel Strip. It’s a very welcome addition. Now controlling sound in detail for all channels is a option. Hi and Low cut off filter, Noise Gate, Compressor and Saturator tucked neatly into a always accessible pop up. You can really control your sound making the best possible mix. This was something sorely missing from early versions, but thankfully is currently a quality option included with the app. Some might say it’s an essential tool, and I would agree. In the past when there was no Channel Strip, it was simply put a real bummer. This is one more reason to take Cubasis 2 a lot more seriously. Another early version absentee was Automation. They’ve gone and added Automation (a few updates back actually) with complete set of easily assigned automation parameters. Finally I can really dig into things making specific tweaks throughout the track or global mix. Without automation it was very difficult to feel like I wasn’t playing with a gutted or lite version of a DAW. It’s such an important aspect and increases the overall professional feel of this app. I don’t know how anybody can take a DAW seriously without Automation as a standard function. I’m getting off track, but the point is it’s now an available built in option that many of us were baffeled by it being MIA in very early versions. I thank Steinberg for bringing this in. Better late than never, right? 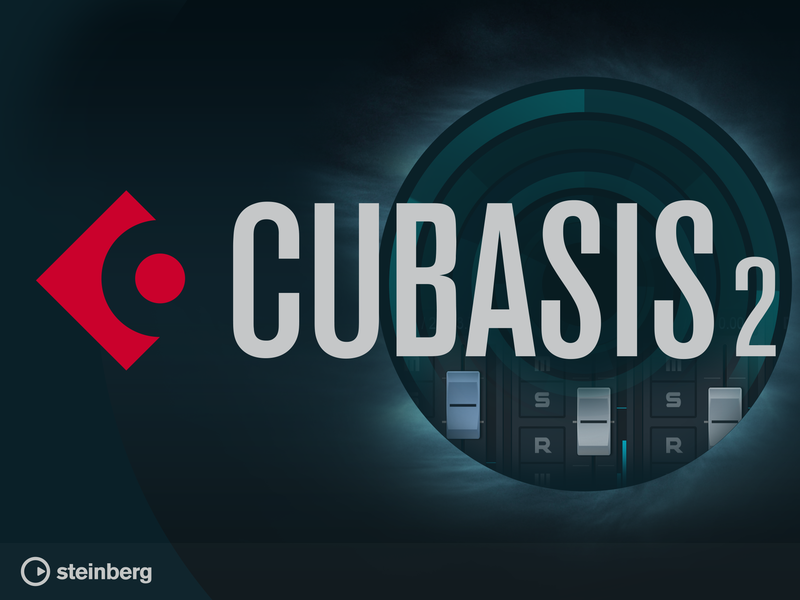 Cubasis with Automation, yes! Again like a broken record I will complain about the standard FX units. There are many standard FX included, and they have improved some. No you won’t have an awesome convolution or spring reverb unit, but for a few more bucks you can get an FX pack with much better versions of some of the built in FX and then some. With each pack you will get new FX units that are significantly better than average. I only have the FX Pack 1. The Stereo Imager came with it and I find it to be indespensible. They also don’t seem to be quite as big of a CPU drain as I expected. If you use them a lot in tracks, especially reverb units, you’ll want to consider using the Track Freeze option to help minimize demand on system resources. It’s not permenant and you can freeze or un-freeze whenever. Nicely done. A very recent addition is the Spin FX unit. DJs will appreciate this, but not limited to just them. It’s also pretty fun. Still just a 4 band studio EQ, but unless you want to do your mastering here it shouldn’t be an issue.The EQ is certainly good enough for general uses, but if you need more there’s always an app for that. Working within Cubasis 2 is very predictable. That’s a good thing. Double tap a waveform to bring it up below for a complete set of editing tools. Fix, trim fade, etc. If it’s a MIDI (or using included instrument and samples) track the same double tap brings of a fully functioning sequencer. 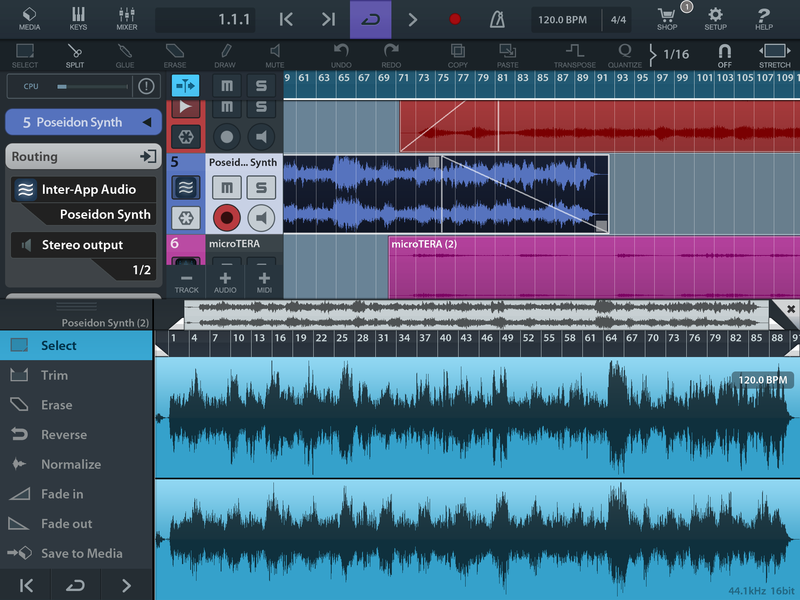 Quantize, edit, and compose sequences with great ease. You won’t need much else. Cubasis 2 also has a minisampler with some included presets. This was another early feature that was missing. With the mini sampler you now have the capability of creating your own instruments in house. That’s very nice to have and opens up even more creative scenarios to explore. 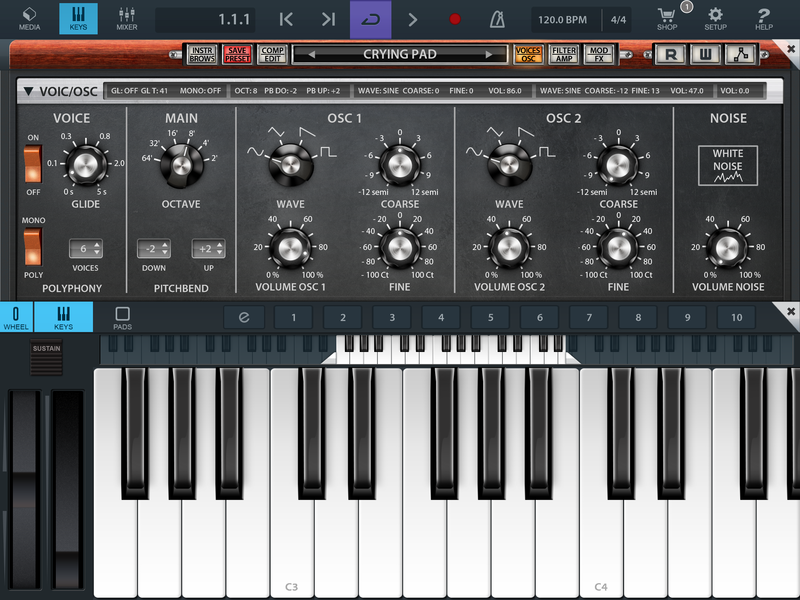 Cubasis 2 is loaded to the gills with virtual instruments, drum kits, samples, and has a emulated analog synthesizer. 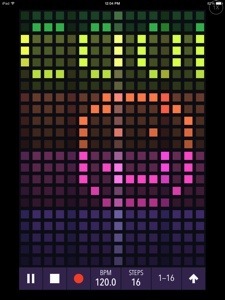 The Micrologue synth is a basic analog style and has a growing library of presets. 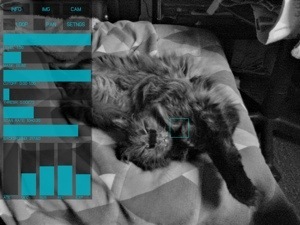 It also affords the usual synth patching parameters to the user to customize unique sounds. A new suite of 76 modern presets have been added. It’s a nice little synth, not bad. Not extraordinary either, but I like it and am glad to have it included. The Microsonic (also included) offers hundreds of other quality sampled instruments. It now has some cool 60s era TAPE instruments faithfully recreating the iconic sounds of the time. Cubasis 2 has brought so many new tools, features and options. It’s hard to catch them all. Another new option is Real Time, Time Strech. 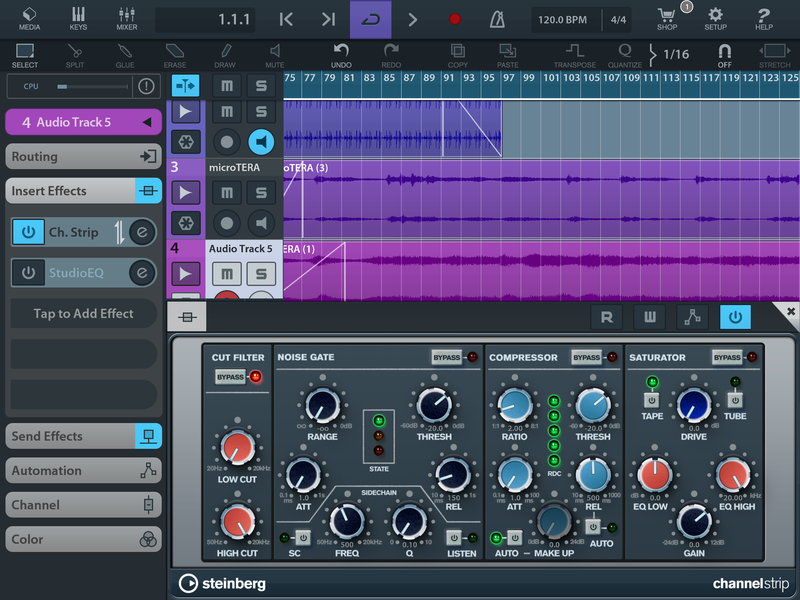 Now you can load audio loops and have them match your mix perfectly. I’ll wrap this up, knowing I’ve left some things out but with a reminder to check the Steinberg site for all of the details. 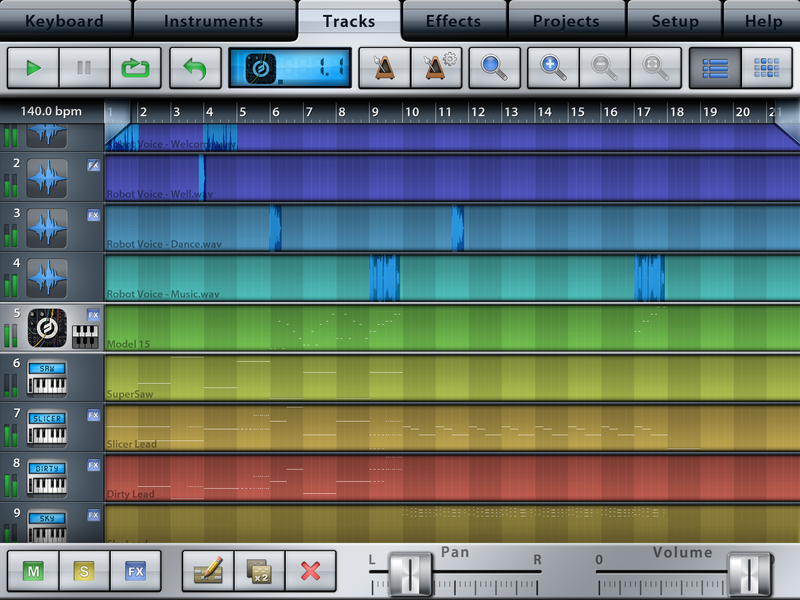 That said, Cubasis 2 is the new standard for mobile DAWs. It may not be perfect but come on, we are working on iPads after all. What it’s missing pales in comparison to what’s not and can almost always be made up for by another dedicated app. I’m a little sad to say I just don’t even use my AuriaPro much anymore and favor this much of the time. When it comes right down to it, what do I want to use that isn’t compromising my expectations of quality? The answer is Cubasis 2. Music Studio has been with us (on iOS) for years. It was one of the very first studio type music apps I ever bought way back when I had my iPod Touch 3G. It has seen steady and consistent updates keeping it on the level with our rapidly growing music needs. Now it’s even available for Android users in the GooglePlay store. I haven’t tried it on an Android, and honestly can’t comment about that version, but expect it works just as well. This all in one music production suite is packed with everything you need to create music from start to finish. 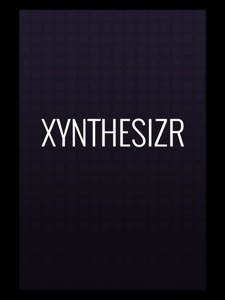 Over a hundred tracks sequencing, sampler, twin keyboards, custom drum & chord pads, 10 effects units, note editor, Automation, Audiobus In & Out, Inter-App Audio In and Out, MIDI, 100 Drum Loops…and more and more. There is a free, lite version to dip your toes into if you’re not sure about buying straight away. The first thing I noticed was the quality and variety of instruments. 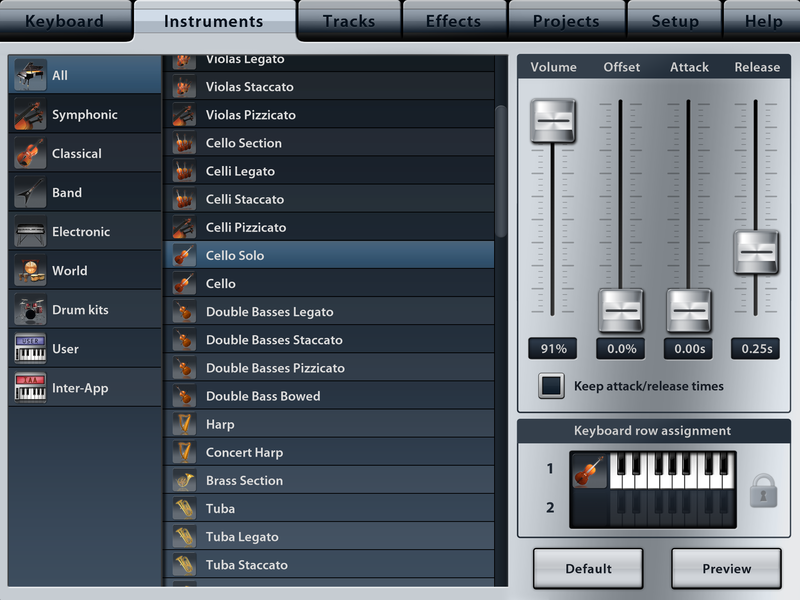 Hundreds of studio recorded instruments come packed in with the purchase of the app, and dozens more can be purchased. Every relevant instrument is available, minus only a very few. Whatever might be missing shouldn’t be an issue these days with all the other music apps around filling nearly every gap. With MIDI, Audiobus and Inter-App Audio input/output fully supported, you’re only limited by you’re own collections of samples and instrument apps. 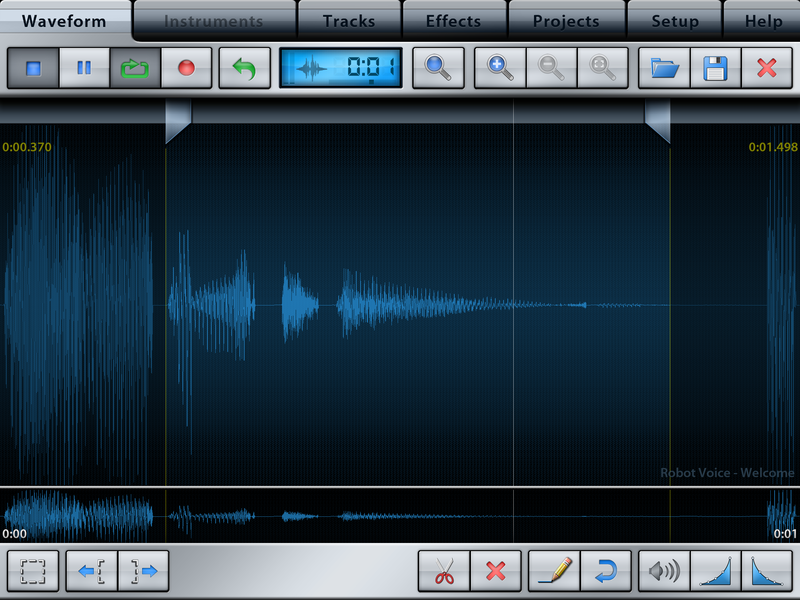 This was the first production app I could find a Digerydoo that sounded good. 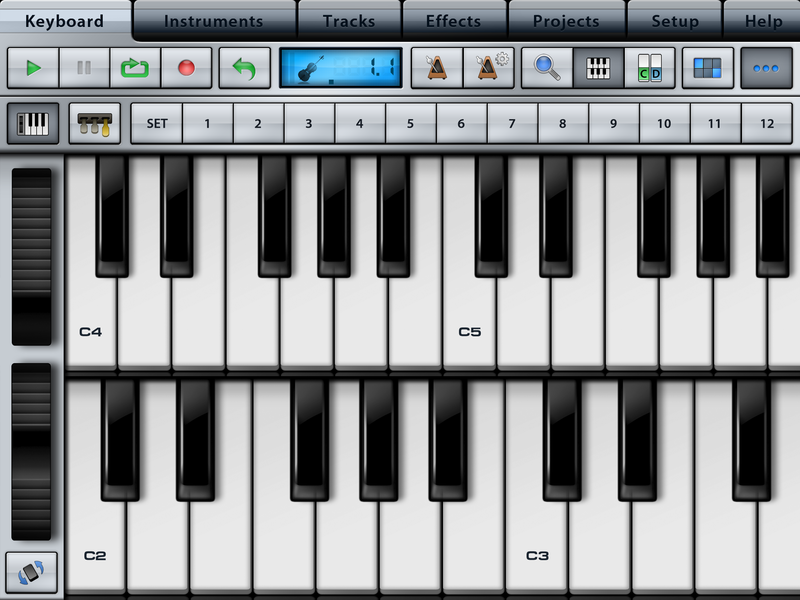 The twin keyboards can have their own instrument assigned and played. The bank of customizable chord buttons above reflect what’s being used as per your own preferences. Assigning individual percussion instruments or samples to the drum pads can also be used. Trigger and loop away, or record a sample with your device or external microphone and apply to one of the pads to use in your composition. It’s easy stuff. Some might wonder where the mixer is? Simply put, it’s not here in the traditional sense. However every track can be mixed individually. 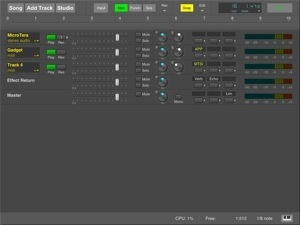 Instead of a mixer page, just select the track to adjust the pan, level, effects, mute or solo etc. It can be a little bit of a challenge to get used to if you are more accustomed to a dedicated mixer board page, but the bottom line is, nothing’s really missing. It’s just being done differently. Most people aren’t going to be overly concerned with this unless they start piling on several dozens of tracks. Then the missing mixer just might prove to be a bit of a obstacle. It’s never bothered me, and on the plus side a mixer page is indeed being developed for Music Studio 3. I have confirmed this directly with the developer. Editing a tracks sequence, or sample is quick and easy. 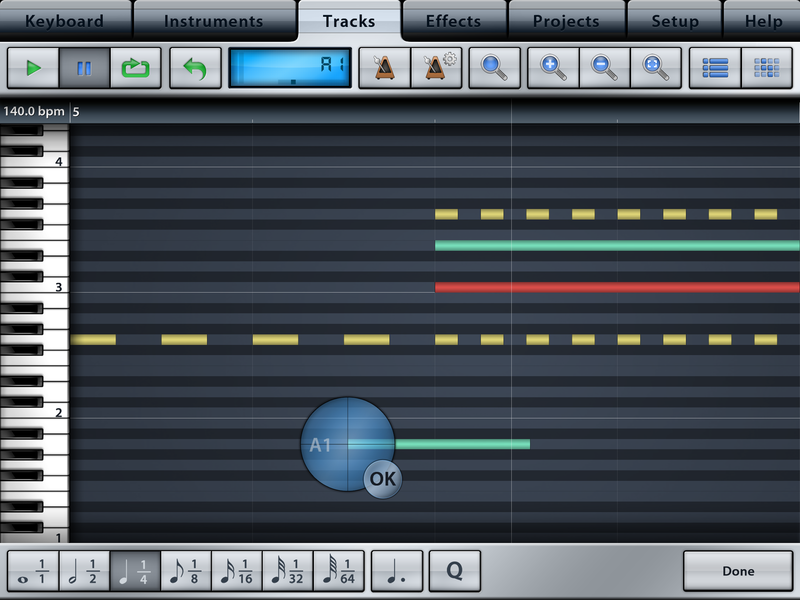 Just double tap the area within the track to bring up either the sampler page or the sequencer note editor page. Quantize, transpose, write, copy and all of that stuff should feel as familiar as it looks. Working with automated FX work much the same way. It’s a very straight forward work flow. This is very intuitive and has a very gentle learning curve. Nothing clunky or unnecessarily complicated. Smooth. 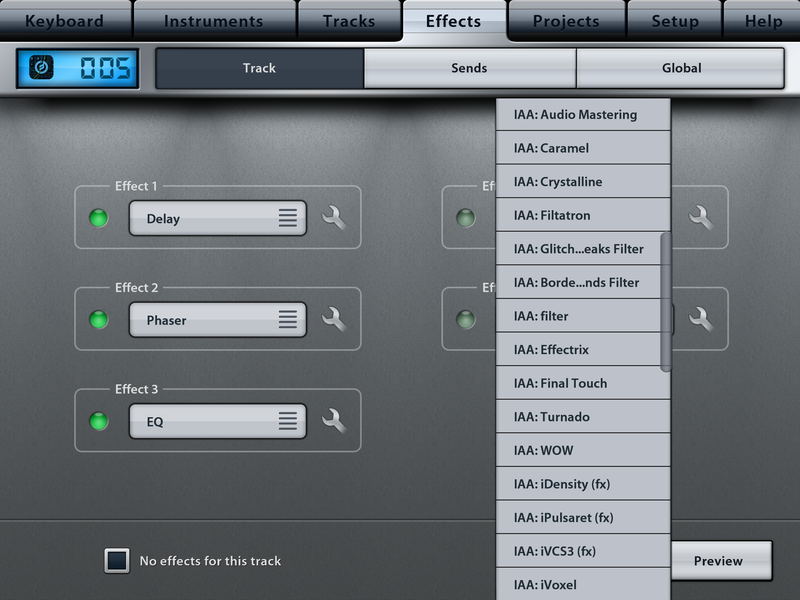 Music Studio 2 also has 10 built in effects units. They have improved over the years and you can assign as sends, inserts or use globally in multiples. As I mentioned above there’s automation. So making creative effects that move with the music are at your finger tips, just like any respectable studio type. All the audio effects mainstays are accounted for. Reverb, Delay, Phaser, Stereo Widener, Filter and so on. 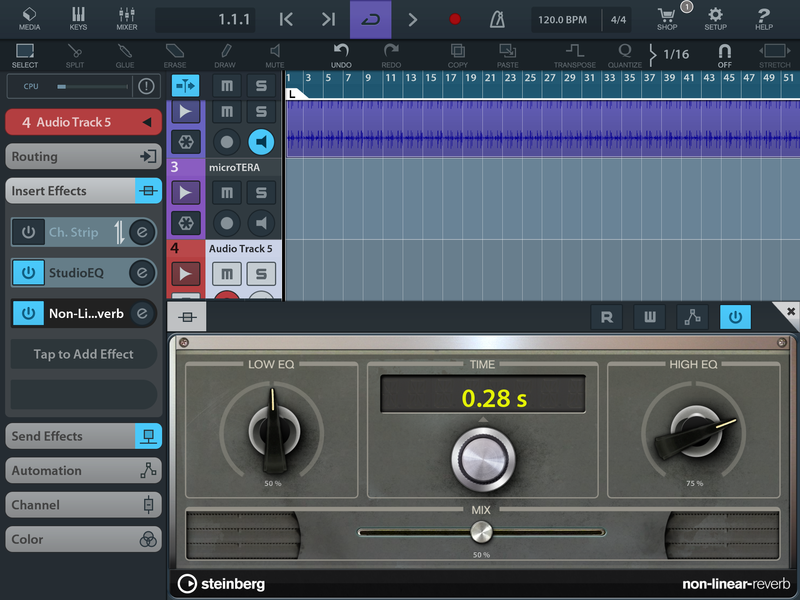 I find the EQ a little in the lite side being a simple 3 band, but that’s not much of an issue these days with Audiobus and Inter-App Audio providing such easy access to your other apps that are more specialized. What is available gets the job done and doesn’t sound cheap. 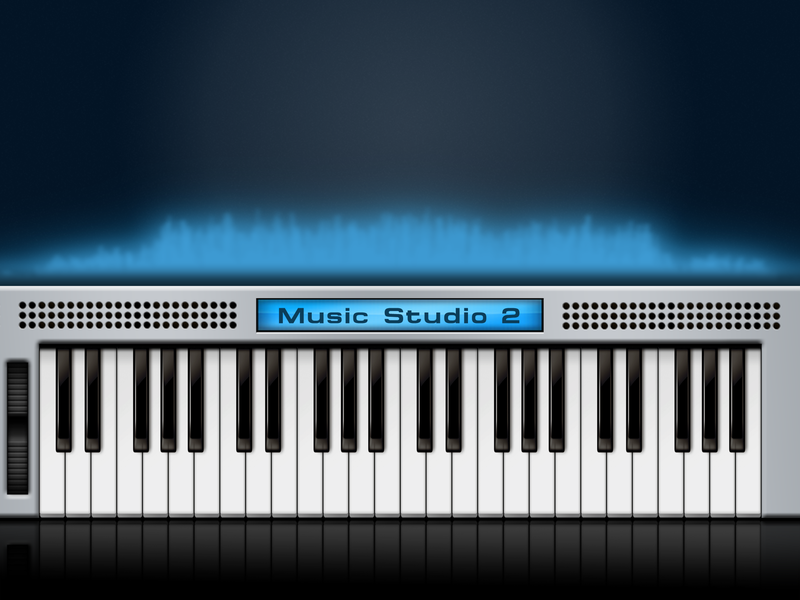 Music Studio is known for its excellent MIDI support. 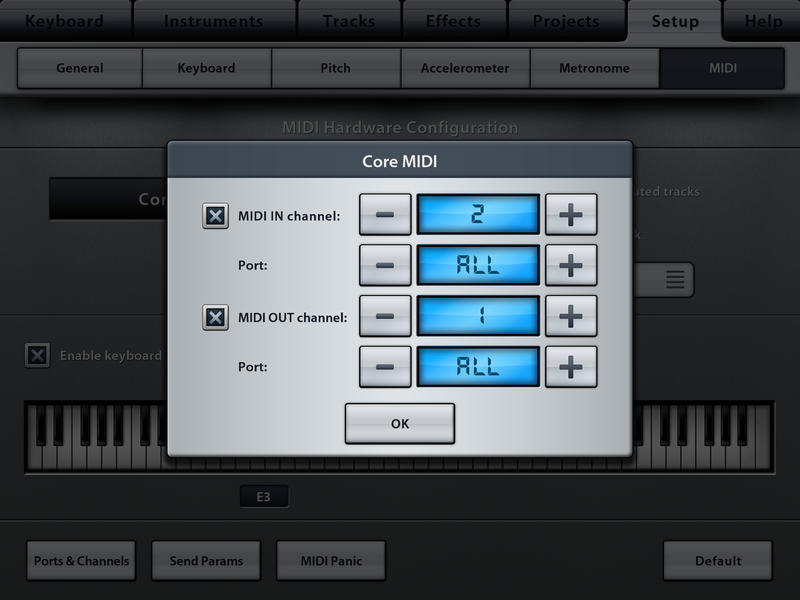 Whether you use virtual MIDI with other music apps, or hardware Music Studio keeps up and makes things easy on you. Reliable is the word. There are so many great things to bring up, I can’t cover every detail. If you need more specifics, details or exact numbers just visit Xewtons Web Site. You’ll find more than just specs. There’s a thriving user community forum to help answer questions, get support or just share. Assuming the extensive in app help doesn’t put you back on track. No pun intended. 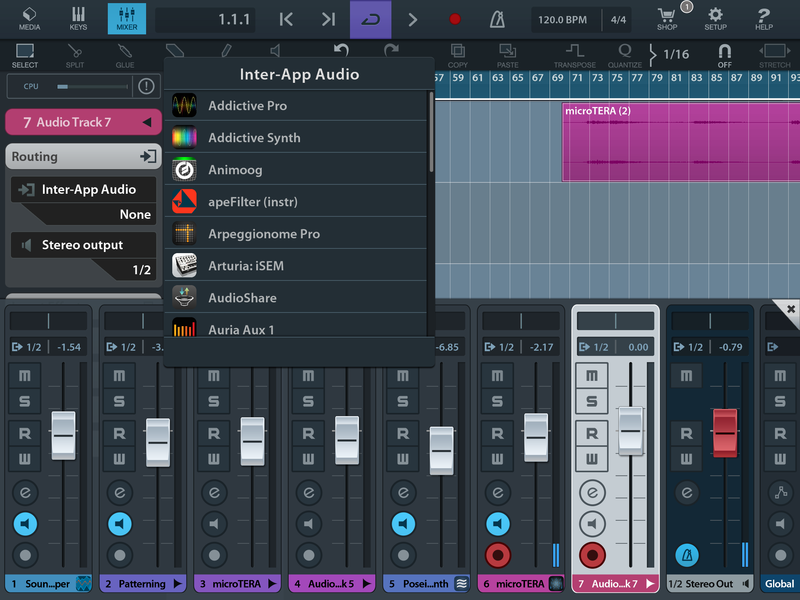 In conclusion, Music Studio stands confidently with other iDAWs, is priced very well, has better instruments than others, is a stable, quality production app with tons of tools and all delivered with a pleasantly clean interface. It’s great for those just starting out and won’t overwhelm newcomers and pros will like its longevity. It has been reliably developed with excellent consistency by a developer who is listening to his users wants and needs. Despite no separate mixer, all the same parameters can still be adjusted and mixed without skipping a beat. 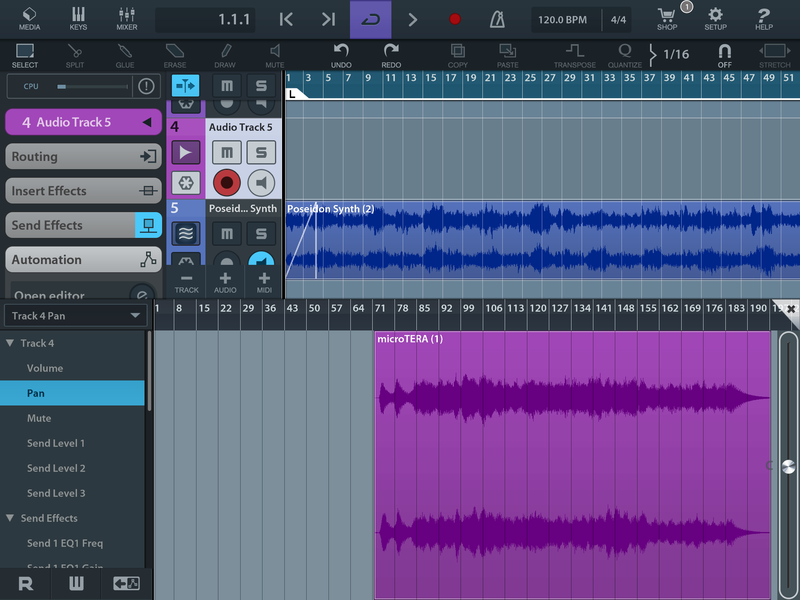 Few limitations and loads of options, Music Studio 2 remains an excellent choice for everybody. A few additions and deletions to consider in this updated list. I’ve added some really impressive new apps, as well as removing a couple I’m tired of waiting for updates. A couple of the most notable additions is Waldorfs Nave, Nave is special, and very powerful with tremendous sonic crafting options. “Audio Mastering” app which I find to be an extremely useful, and quality mastering option. If you are using something like Cubasis then it is absolutely essential. Thor Polysonic Synthesizer, AUFX:Space ( a fantastic stand alone reverb ), and now that Audiobus is supported MorphWiz and SampleWiz are added. A while ago I made a similar list of iOS music apps that I generally considered “Must Have” iOS Music Apps. It got a bit long & messy. It was more of a wide look at the apps I thought had a fairly universal appeal for anyone interested in making music this way. I’m making this new list to reflect a more current collection of iOS music apps, but most specific to what is used in my own process rather than a list of options or just simply great apps. There are so many great apps. First. I only require that these have Audiobus support now, or at least AudioCopy/Paste until they can be updated with Audiobus. Any music app failing to have, or a plan to soon have those basic functions, are simply not installed. At least not until they do. I am always open to revisiting other excellent music apps when they are completed with these basic supports. The reason this is so important to me is because I have always been committed to the wire-free creative experience that iOS offers. I enjoy that freedom most and it adds to my inspiration. Wires don’t appeal to me and I feel are no longer necessary in this day and age. If I wanted wires I’d use a laptop. iTunes File Share is dreadful and not part of my process. The rare times ill use File Share is just to move projects for storage on my computer. Lastly, I only occasionally use Virtual MIDI and own no other hardware. What I used previously versus what I use today is very different. So much has changed. The amazing growth and development in iOS music apps available today has advanced very quickly. It is a very exciting time for me as I’m sure it is for countless others who are equally (if not more) enthusiastic about this unique platform for music production. So for what ever its worth, here is my list of apps I consider “Must Haves” and use in my process to make music. The ones I just can’t live without. Auria – The single most complete iDAW for mixing, editing & mastering from cradle to grave. Meteor- The next best thing to Auria for professional quality. Now with up to 24 tracks via IAP. Good automation and fantastic MIDI controls. Instruments, and solid FX, but paying extra for an EQ is offensive. Still great iDAW. GrainScience, iPulsaret, iDensity, GrainBender, Stria. Tie It All Together, Edit, Master Etc. Audiobus, AudioShare, Twisted Wave, Audio Mastering.